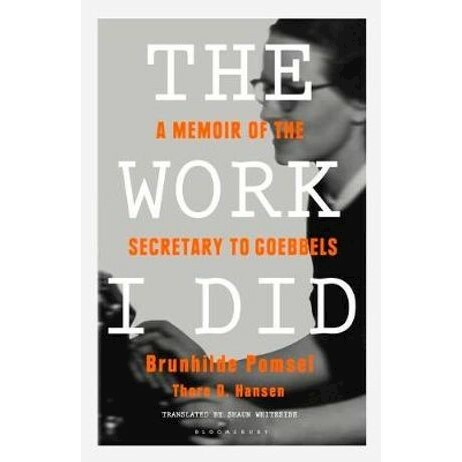 Brunhilde Pomsel described herself as an 'apolitical girl' and a 'figure on the margins'. How are we to reconcile this description with her chosen profession? Employed as a typist during the Second World War, she worked closely with one of the worst criminals in world history: Nazi Propaganda Minister Joseph Goebbels. She was one of the oldest surviving eyewitnesses to the internal workings of the Nazi power apparatus until her death in 2017. Her life, mirroring all the major breaks and continuities of the twentieth century, illustrates how far-right politics, authoritarian regimes and dictatorships can rise, and how political apathy can erode democracy. Compelling and unnerving, The Work I Did gives us intimate insight into political complexity at society's highest levels - at one of history's darkest moments. Brunhilde Pomsel was born in Berlin on the 11th January 1911. After training to become a typist, she began a job in the news department of the state radio station in Berlin in 1933. Nine years later she joined the Propaganda ministry as Joseph Goebbels' secretary. Pomsel lived in Munich until her death in January 2017. She was 106 years old. Thore D. Hansen is a political journalist and communications consultant based in Germany and Austria.